Hamilton Robinson Capital Partners Keeps it Rolling with Acquisition of Skyway Machine Inc.
Hamilton Robinson’s portfolio company, Custom Engineered Wheels (CEW), a leading provider of custom composite wheel solutions, injection molding, and polyurethane tires, has acquired the assets of Skyway Machine, Inc. Skyway, based in Redding, California, is a leading manufacturer of wheels for the bicycle, healthcare and lawn and garden markets, specializing in its brand of composite TuffWheels®. 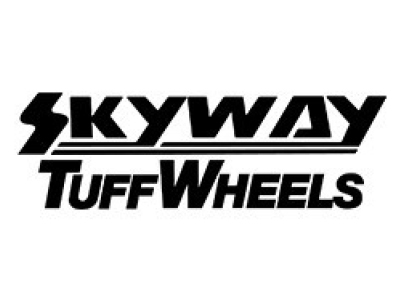 “This new partnership assures that the love and passion that has gone into growing Skyway TuffWheels® into a world-class brand will only continue to get stronger. We are very excited for what the future holds as CEW continues with Skyway’s legacy of quality, dependable, composite wheel solutions and products,” stated Skyway’s President, Ken Coster. “CEW and Skyway have worked together for many years. The synergies between the two companies will provide greater growth opportunities in the future. The combination of Skyway’s TuffWheel® with our X-Core® and Shox® brand offerings will provide our customers a complete top to bottom wheel selection along with new advanced product offerings in the future,” added CEW’s President & CEO, Jason Peters. Custom Engineered Wheels Inc. is a world leader in providing quality wheeled products. Based in Warsaw, Indiana, USA, we utilize a combination of extensive engineering knowledge, inimitable manufacturing experience, high grade materials, advanced automation and first class production equipment to provide innovative, non-pneumatic wheeled products to our customers. Customers rely on our consistent performance for outstanding product innovation and quality, exceptional customer service, and world class delivery. Our continual goal is to be the leading producer of durable and value add wheeled products world-wide.